Bro. 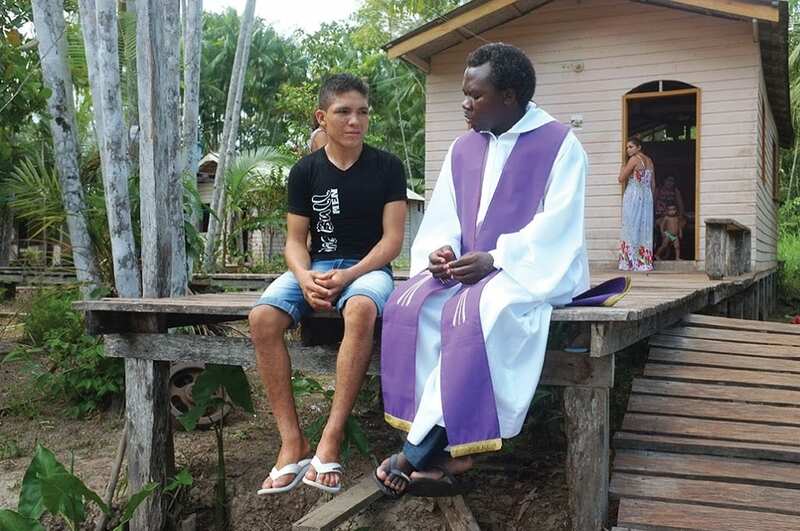 Fabio Mussi, PIME, is the Coordinator of Codas Caritas in the Diocese of Yaguoa, Cameroon. 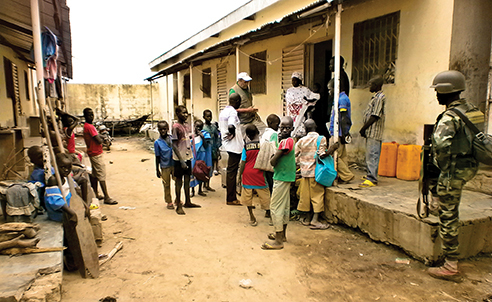 The violence of Boko Haram has made the difficult situation of healthcare in the region that much worse. After the publishing of the November/December Mission World, we received a Christmas letter from Brother Fabio Mussi. 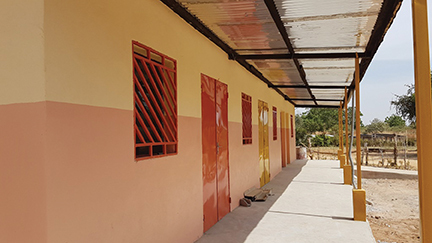 Bro Mussi has been helping to construct a state-of-the-art healthcare facility in the Far North region of Cameroon, close to the border with Chad; although, the violent activities of Boko Haram had delayed progress and communication, his preparations are nearly finished. After a long time absent, I wanted to update you on the activities of the Diocesan Hospital of Touloum, located in the Far North region of Cameroon. The reason for my radio silence is not for forgetting of all of you who support us and PIME, but rather my commitments to the humanitarian emergency situation in this region, caused by the terrorist actions of Boko Haram; terrorists who have been active in our region bordering Nigeria over the past 3 years. Although we want to reassure you: Touloum and the entire province of Mayo Kani, where the hospital resides, it is fortunately still safe from this situation of insecurity. 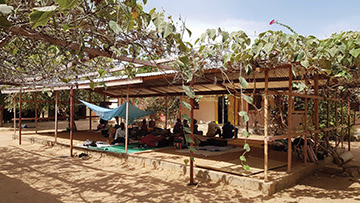 The Diocesan Hospital of Touloum in the Far North region of Cameroon. So our prevention and healthcare activities continue unabated; they even allowed us to be able to start also several new initiatives, which I will present to you now. First of all, in this past year, 2017, we have been able to strengthen the hospital’s health and operating skills with the recruitment of two new permanent doctors. In fact, for reasons connected to the contingency of the situation, until now we were obliged to hire only temporary staff. Now, with the arrival of these new doctors, who will take care of both diagnoses and surgery, we have four doctors assisted by 26 nurses as well as radiology and laboratory technicians. Bear in mind that the hospital, although not very large, has a capacity of 85 beds, on average around 80% of these are occupied and also deals with patients suffering from AIDS and Tuberculosis. Patients wait at the hospital. 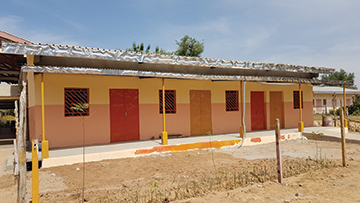 The Touloum Hospital provides monthly health care for around 1,200 new patients. In our efforts to provide for the people of this embattled region we have really seen a great result: many people come from very distant regions, even from neighboring Chad, attracted by the expectation of finding competent staff from which to receive treatment. This is a considerable responsibility that leads us to always be attentive to the service of “sick people”, especially the poorest of the poor. These efforts and responsibilities are also shared by public health authorities, and have led to a commitment to provide the Hospital with specialist equipment that is not present in any other hospital in the Far North region of Cameroon. With help from people like you, we managed to fully equip the Diagnostic Imaging department, consisting of radiology, ultrasound and, hopefully, also a CT scanner. The acquisition and donation of new equipment has allowed the hospital to fully outfit a Diagnostic Imaging department. This last piece of equipment is one that makes us despair somewhat, because it is not yet functioning due to damage caused by rodents that have ruined the optical fiber of the machine. In order to repair the damage we will need specialists from Italy. The problems of distance and insecurity of the region have motivated several postponements, the last of which has come this past month of December. However, we will not give up; we continue to hope to be able to organize this trip in the first months of 2018. Being able to make the CT scanner work is certainly our most important commitment, because there is no such equipment anywhere nearby in the Region. Among other things, the only equipment “nearby” is located in Garoua: a city almost 200 miles away from Touloum, and is not always available due to high demands even after everything involved with travel and other related costs. Starting this past August, we commenced the construction of the department that will serve as an Emergency Room. In fact, this service is, in part, already active, but the increase in requests coupled with new regulations from the Ministry of Health, have led us to make this adjustment. The building is made up of four exam rooms and emergency rooms, equipped with the appropriate medical supplies. By the end of December we should complete construction as of January of 2018 so that this new department will be operating at 100%. The construction of several exam rooms and an Emergency Room is due to be completed by the end of January 2018. 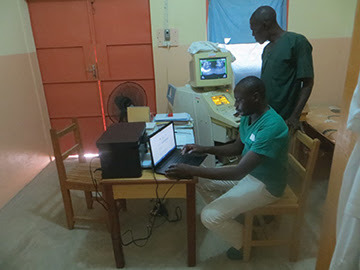 Regarding the equipment, I would like to point out that in July we were given a binocular microscope (coming from the Hospital of Pordenone, Italy), and in November, with the return of P. Piergiorgio Cappelletti, PIME, to Cameroon, so too, came new electrocardiogram for the Hospital. In addition to this, the Ministry of Health of Cameroon also donated a new incubator for newborns, which will be useful in cases of premature infants. In the previous months we had improved the image diagnostics sector with computers and printers suitable for providing doctors and patients with high-quality documentation. Surely the needs of specialized equipment still remain high, but with what we have received we can certainly ensure better service to the people who suffer. Dear Friends, Thanks to your support we are gradually continuing to improve this health facility which allows many people to be treated a bit better than the last few months. Sometimes, the difficulties and complexity of situations risk breaking our commitment to making our small contribution to improving the world. However, this period of preparation for Christmas shows us a path of hope and sustains us in our efforts. Best wishes to all of you for a Christmas full of serenity and hope for a better world.